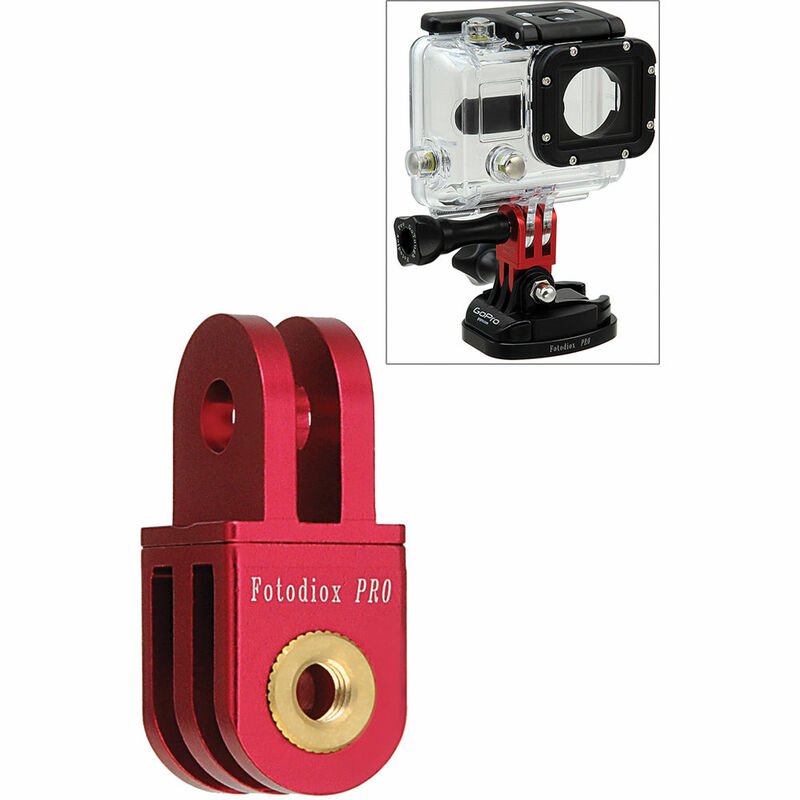 The red GoTough 90 Extender from FotodioX is an aluminum extension mount that adds an extra 0.8" of length and an additional pivot point when mounting GoPro housings and frames, while turning the pivot mount 90° to change the direction of your camera. It features a built-in tightening thread for GoPro thumbscrews and is designed to be durable while remaining lightweight. Box Dimensions (LxWxH) 1.25 x 0.6 x 0.5"